Here we take an enterprising look at Fingal, one of the most innovative food-producing regions in Europe and home to Ireland’s youngest population. Fingal is a region north of Dublin City and also bordered by South County Dublin, Meath and Kildare. To the east is the Irish Sea. It is one of Ireland’s most enterprising regions, and the focus is firmly on farming, food and flying. Most people in Ireland will travel to Fingal at some stage in their lives, but only to access Dublin airport. However, it is a region worth visiting and exploring, especially during the summer months. The county is known locally as the ‘market basket of Ireland’. It is one of the most significant food-producing areas in Ireland and Europe. 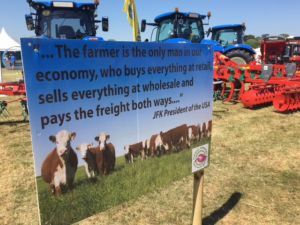 Speaking at the recent Flavours of Fingal county show, Caitriona Redmond, a well-known writer and founder of Wholesome Ireland says the food produced in Fingal “is not only on our doorsteps, but it’s also in our shops. I would encourage people to look for local produce when they are shopping. Local produce supports jobs, keeps the economy going and is more environmentally friendly that food-mile heavy imports”. Fingal has a population of over 300,000 people. The population increased by 77% between 1996 and 2011 and is also the youngest in Ireland. The county is blessed with a rugged, natural 88km coastline that stretches from Sutton to Balbriggan. There are three protected estuaries, salt marsh habitats and thirteen good beaches. Apart from Dublin airport, the most significant driver of the local economy is farming and food production. Over 600 farmers milk cows, rear sheep, grow vegetables, harvest crops and produce honey and fruit in Fingal every day. 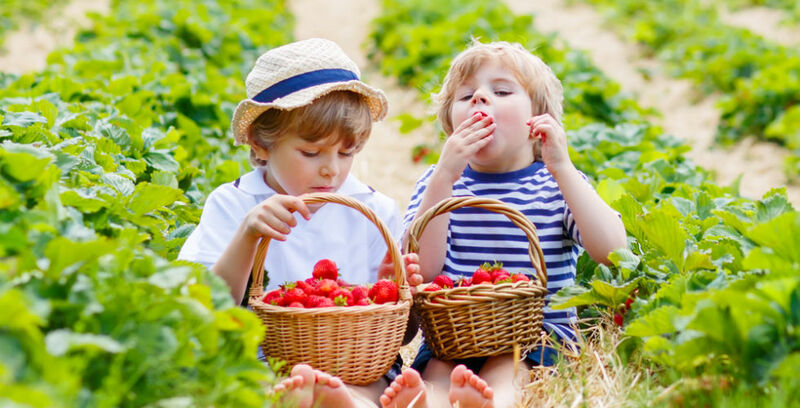 It is estimated the county provides over 55% of the country’s fresh produce, including fruits, berries, lettuces, potatoes, onions, and carrots. If you live in Ireland, it is highly likely you eat something from Fingal at least once a week. The Flavours of Fingal show is held once a year and is a celebration of the farming and fishing heritage of the county. Great, long-standing family producers like John McGuinness from Rush (strawberries) and David Flynn from Swords (herbs) are on hand over the two-day event to remind the audiences, especially the young people of Fingal, that quality food is produced with great effort and expertise. Quality, local food also tastes much better. Keoghs, Country Crest, and Keelings are some of the other top food producers that appear at the show every year. Keogh’s Crisps produced by the Keogh family of Fingal recently landed a major contract with Emirates, which will see over one million bags of crisps served on Emirates planes each year. Keelings, the fresh fruit suppliers, has been in the area since 1896 when the family worked a farm in Donabate. Just off Skerries, there are three small islands Red Island, Shenick and Holmpatrick (or the island of Patrick). St Patrick landed there in 432 before travelling to the mainland to spread Christianity. People in Fingal love to ‘grow their own’. Fingal County Council manages some 900 public allotments. 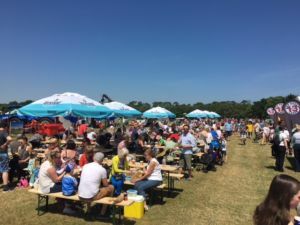 The Flavours of Fingal County Show is a free-to-attend food and farming festival that attracts up to 100,000 people over two days in June each year. 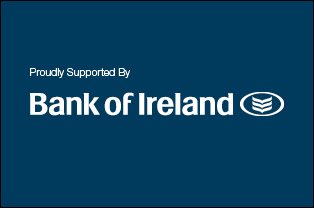 It is supported by Bank of Ireland. An interview with Tom Keogh of Keogh’s Crisps.